A Parks Canada Underwater Archaeologist speaks on The Sir John Franklin Expedition. 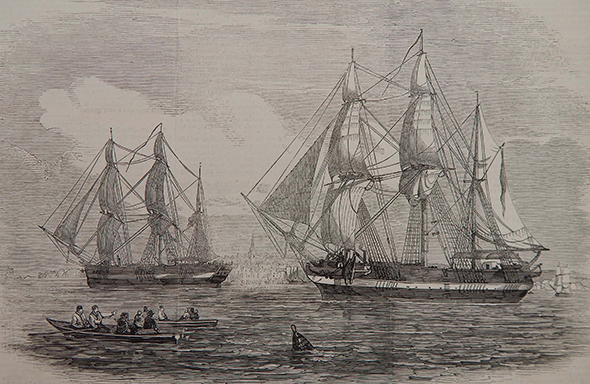 In 1845, explorer Sir John Franklin set sail from England with two ships, HMS Erebus and HMS Terror, in search of a Northwest Passage across what is now Canada’s Arctic. The ships and crews vanished, prompting massive searches ever since. A breakthrough was made in September 2014 when an expedition led by Parks Canada discovered the wreck of HMS Erebus. Then during Parks Canada’s recent 2016 Mission, HMS Terror was discovered. Visit the Parks Canada website for more information on the vessels. Click here for event details or click here to RSVP.